Lock in a great price for The Danna Langkawi – rated 9.4 by recent guests! They were in constant contact with me from them moment I reserved. They picked us up from the Jetty and The staff were superb upon our arrival and throughout our stay. The property is aesthetically very pleasing. The staff try to make your experience special! Negi at the beach was a delight, as was Wennie at breakfast at Plantars. We also were equally impressed by a young female staff at the Verandah, who I think her name was Lelia- so sweet & helpful!! Loved the treats on the beach throughout the afternoon. Enjoying Happy Hour on the beach for sunset was truly memorable! The staff were exceptional. Friendly and efficient. The whole experience was very relaxing. Every thing was perfect Staff , villa , food and the location . The villa, the private pool, the view, private access to the beach, the spa, the staff. The Danna Langkawi This rating is a reflection of how the property compares to the industry standard when it comes to price, facilities and services available. It's based on a self-evaluation by the property. Use this rating to help choose your stay! Boasting a private beach and a large infinity pool, The Danna Langkawi features colonial architecture and elegantly designed units in the west coast of Langkawi. The beachfront property houses 3 restaurants, a lounge and a spa. Free WiFi is accessible throughout and free parking is provided. Decorated with wooden furnishings and floor-to ceiling windows, every unit is fitted with air conditioning, a seating area and a flat-screen TV. The private balcony features hills, marina or sea views. For your comfort, feather pillows and duvet are included. The spacious bathroom comes with a bath, a rain shower and premium toiletries. Planter's open-kitchen restaurant serves buffet breakfast and European-inspired dishes overlooking the pool. Offering Italian delights and fresh seafood, Terrace is open for lunch and dinner. Afternoon tea can be enjoyed at Straits & Co and evening cocktails are served at The Veranda Lounge. The Danna Spa features relaxing treatments with hills and marina views. Staff at the 24-hour reception are happy to help you arrange outdoor activities, while the children can enjoy various activities at the kids' club. Guests receive complimentary welcome drinks and a short massage upon arrival. Skytrex Adventure Park is 1,000 feet from The Danna Langkawi and Crocodile Adventureland is 4 mi away. Kota Mahsuri is 6.8 mi from the property. Langkawi International Airport is 6.6 mi away. 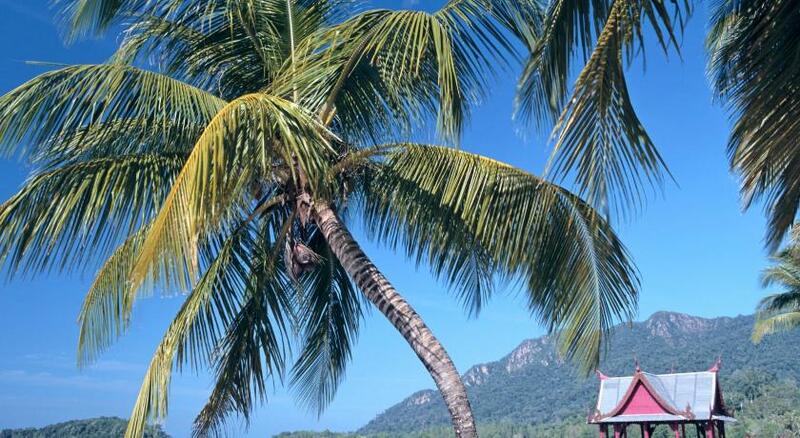 When would you like to stay at The Danna Langkawi? Featuring a four-poster bed and a private balcony with sea view, this elegant room is fitted with a seating area and a flat-screen TV. Feather pillows and duvet are also included. The private bathroom comes with a bath, a shower and premium toiletries. Featuring a four-poster bed and a private balcony with courtyard or hill views, this elegant room is fitted with a seating area and a flat-screen TV. Feather pillows and a fan are also included. The private bathroom comes with a bath, a shower and premium toiletries. Luxuriously furnished, this spacious suite features additional space and a hot tub. The private balcony overlooks the sea and there is a separate living room fitted with a flat-screen TV. The private bathroom comes with bath/shower facilities, dual vanity and premium toiletries. Offering additional space, this elegant room is fitted with a four-poster bed. The private terrace has a daybed and overlooks the marina. A seating area and a flat-screen TV are also included. The private bathroom comes with bath/shower facilities, dual vanity and premium toiletries. Offering additional space, this elegant room is fitted with a four-poster bed. The private terrace has a daybed and overlooks the hill. A seating area and a flat-screen TV are also included. The private bathroom comes with bath/shower facilities, dual vanity and premium toiletries. Luxuriously furnished, this 110 sqm suite is located on the top floor and has additional space. The private balcony overlooks the sea and features a hot tub. A flat-screen TV and a mini-bar are also included. The private bathroom comes with bath/shower facilities, dual vanity and premium toiletries. Featuring 2 single beds and a private balcony with sea view, this elegant room is fitted with a seating area and a flat-screen TV. Feather pillows and duvet are also included. The private bathroom comes with a bath, a shower and premium toiletries. Featuring 2 single beds and a private balcony with courtyard or hill views, this elegant room is fitted with a seating area and a flat-screen TV. Feather pillows and a fan are also included. The private bathroom comes with a bath, a shower and premium toiletries. Occupying 490 sqm of space, this luxurious villa comes with a private infinity pool. Guests enjoy direct beach access from the private garden and a private pool deck with sun loungers. There is a separate living room with home entertainment system. The private bathroom comes with a bath, a shower and premium toiletries. This twin room features a balcony, DVD player and sofa. Welcome to The Danna Langkawi, A 5-star luxury hotel in Langkawi tells a tale of a lifestyle getaway. It is enveloped by immaculate splendour of sandy beach, marina and lush tropical hills. House Rules The Danna Langkawi takes special requests – add in the next step! The Danna Langkawi accepts these cards and reserves the right to temporarily hold an amount prior to arrival. The property will be embarking on a repair and maintenance exercise on the main pool in May 2019. Please note that room rates for 31 December 2019 include compulsory dinner for standard occupancy. Beach in front not very nice (limited space to swim and water not clear). However, the swimming pool made up for the lack of beach. Great pool, very big and not too crowded. Very extensive selection for breakfast. Super nice staff. Although the property was very clean otherwise, we did find a single cockroach in our bathroom. Never saw it or any other pests/insects again. The pool was phenomenal but if you're looking for a beach to snorkel or scuba then i would recommend going elsewhere (e.g. Redang Island). I really like the Dana hotel everything was fascinating and for sure it will be my hotel for the next trip to Langkwai in future. The staffs are amazing especially Bassel He is kindness and helpful. Great comfortable stay. Staff were so accommodating and we had such a great family time! Leila didn’t want to leave! Thank you for everything. Located at this beautiful white beach. Also only 2mins drive from the Jetty to Koh Lipe. They offer complementary airport transfer one-way. Room was spacious and clean, bed and pillows super comfy. Room itself quite pricey, but thats Langkawi. We paid around US 320.- per night. Breakfast good and also food/drinks round the pool. Dinner at the Italian restaurant very pricey but super good and fresh. The amount of money that this hotel charges is ridiculous. We've travelled all over the world staying in luxury hotels and this place is a complete rip off. The facilities are fine but a huge disappointment is the beach- you have a tiny paddling pool area they deem safe to swim in and the views on the beach are unremarkable. Add to that that the hotel has cockroaches in the rooms and the fact that they charge you £5 per bottle of water and you get the idea. They fleece you and it feels like it at every turn. Not a nice environment when you're spending over £400 per night per room. Their dining room restaurant is the worst food we ate in all of Malaysia- the chicken they served me was still raw in the middle and full of grissle. The bar manager was incredibly rude to us also and I was relieved to leave this place. Please do not ruin your holiday by staying here. A few members of staff were really lovely. Others couldn't be bothered and that came across when we were told to get our own water bottles from the reception area. Incredible since those staff had nothing to do - they should have fetched it to us rather than telling us to walk all that way. Poor show. The charges for laundry were too high so we found a laundrette! Fabulous hotel. Ideal place to relax & unwind. Staff are very attentive. The infinity pool is beautiful & the service around the pool excellent. OK it could be subjective. The breakfast food taste has much to desire? Chef should taste food before display. Simple nasi lemak below expectation. Soya sauce is cheap quality only saltish. This morning bacon was extremely saltish. The Italian restaurant prepares top quality food. Highly rated.! Good landscapes. Serene environment. Villa excellent design and comfortable. All of the staff at Danna are incredibly helpful, polite and friendly! They made the entire stay very pleasant. Amazing customer service and the Spa is also fabulous! There was nothing that I ddnt like. Brilliant hotel and staff. A most wonderful stay. The only Disappointment we had staying at the Danna was the Restaurants in the evening, way below standard of a 5 STAR restaurant, they try to do things to fancy and fall flat on their faces unfortunately. They need to have a simple restaurant with good food. The breakfast was good services great. The proximity of the marina does cause some pollution of the sea water which was slightly cloudy. Staff very attentive and charming. Facilities very good and nice quiet location. Room and bed very comfortable. The staff have been very well trained, all credit to them and the management. Nothing was too much trouble. Excellent breakfast. Beautiful pool and grounds. And enexpected complimentary transferee. No filtered water offered other than at breakfast, Thereafter only possible to buy Italian imported water, very expensive and totally unnecessary. There should have been a choice of both especially at meal times where it is regionally the norm. Fish ordered on first night old, too strong taste. Informed staff but uninterested. Large bedrooms very cool with both ceiling fans and aircon. Staff very helpful. Beautiul black and whilte pictures of KL, Ipoh and Penang from the 1920’s. Excellent comprehensive breakfast included in room rate.